Made of 12oz Natural Cotton Canvas with 16” web handles. Your wine bottles will easily travel in Eco Style. The material is 100% eco friendly, biodegradable and post industrial recycled. Divided compartments keep the bottles separated and safe from breaking. Complement a wine bottle by using the other pocket as a gift bag for an additional present! 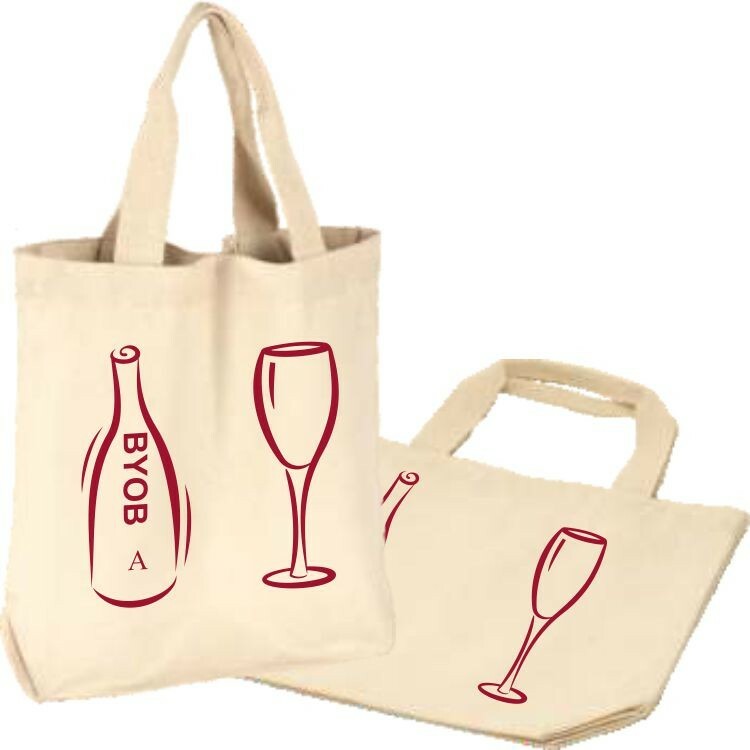 This bag is great for grocery stores, markets, wineries, distribution companies and it is the perfect compliment of gift or giveaway. Print your message or logo on 2 locations each side.